Although government brags that over 80 percent of the country’s population has access to power, unreliable power supply and frequent power outages steal the thunder from this achievement, pushing the government into overdrive to boost power production. One of the strategies is to put up a nuclear energy plant by 2026, in a fervent push to lower the country’s energy deficit and electricity tariffs in bid to boost industrialisation. Feasibility studies for the project have been done and the planned investments will be staggered over eight years, with initial electricity output from nuclear plant expected in 2026, followed with a boost in 2028, 2031 and full capacity operation by 2034. Already memoranda of understanding have been signed with Russia and the China National Nuclear Corporation [CNNC), Beijing on cooperation in the peaceful uses of nuclear energy on May 10, 2018. In both of these documents Uganda is to secure technical expertise and financing to lift the plan off the ground. According to Ms Sarah Nafuna, the head of Nuclear Energy Unit in the ministry, the MoU with Beijing details areas of technical and engineering cooperation as well as financial support to develop reactors for the nuclear plant. “This partnership with China in the area of nuclear energy development is for peaceful purposes and all plans have been made in Uganda to have clean and safe nuclear energy generation sources,” said Ms Nafuna, who is also the national liaison officer with the United Nations nuclear watchdog, the International Atomic Energy Agency (IAEA). The use of nuclear energy is a sensitive matter around the world because enriched uranium can be used for both peaceful purposes and to make nuclear bomb, a sticky issue between Iran and western powers. Ms Nafuna told PML Daily that the MoU with China will enable the China help Uganda develop reactors for the nuclear plant. The proposed sites for the nuclear infrastructure developments are Buyende District in the east and Nakasongola District in central Uganda, both near Lake Kyoga, Kiruhura District in the west close to River Katonga, Lamwo District belted by River Aswa in northern Uganda and Mubende District in central Uganda where Lake Wamala is situated. Officials said that the water from reliable large sources is required for cooling the nuclear reactors, explaining their choice of the sites. Energy ministry’s Nafuna declined to disclose the cost of developing the nuclear plants, but a high-level source that asked not to be named because they were not authorised to speak on the matter, estimated the capital and operating costs upward of Shs145 trillion. This working figure is higher than Uganda’s Shs29 trillion annual budget, raising questions about the country’s ability to mobilise such resources when it is already saddled with a total external debt exposure, including committed but undisbursed debt of USS$12.2 billion debt, [about Shs 45.4 trillion]. Uganda last year hosted the 28th technical working group meeting for Africa Regional Cooperative Agreement for Research [AFRA] at Speke Resort Munyonyo and the conference, among other things, explored ways of improving technical cooperation in Africa and increasing efficiency of IAEA’s deliverables and effectiveness. The IAEA deputy director general Dazhu Yang, the agency’s head of technical cooperation Shaukat Abdulrazak and Africa Division director, Mr Mickel Edward, attended the Munyonyo conference. The Prime Minister Ruhakana Rugunda told the international delegates at the time that inadequate energy is a bottleneck to Uganda’s industrialisation and the achievement of its 2040 vision. “Increasing the electricity generation capacity to meet the demand is, therefore, a key government policy direction. Uganda [will be] developing 2000 megawatts nuclear power plants for industrialisation,” he said. The push for nuclear energy comes amid reports that the country has trained five graduate specialists in nuclear and radioactivity safety studies at universities in Ghana and Egypt. The nuclear unit in Energy ministry requires at least 30 specialists, according to internal assessments. Uganda already carried out air-borne survey that helped establish the existence of uranium deposits, but technocrats are yet to quantify it. A presidential ban on exportation of uranium is also still in place. Ms Irene Muloni, the energy ministry told PML Daily that there are uranium deposits in western, south-central and north-eastern regions, but that sharing the specific locations could prompt “speculators to run there to buy the land from local people and later sell it expensively to the government”. But sceptics also argue that a sunshine-rich country such as Uganda should never think of going the risky route of nuclear energy. However, the ministry of energy and mineral development says that nuclear energy is now a necessity rather than a choice, pointing out that for Uganda to achieve its Vision 2040 goals, it needs between energy from all sources. “There is a deficit even if all domestic energy resources are fully exploited and therefore, nuclear energy has been identified as a stable, efficient and reliable source of electricity that will steer industrial development, stimulate economic growth, create jobs,” said Dr Rugunda, the Prime minister. But while government officials strongly defend the nuclear project, questions abound about how a country – that has failed to handle minor fire disasters and basic household waste will effectively deal with toxic wastes, which are the by-product of nuclear power generation. In Kampala for instance, garbage is littered all over, with roads becoming impassable when it rains. Moreover, some hospitals and clinics carelessly dispose their medical waste in landfills, yet the government insists it can handle nuclear waste. Mr Nandala Mafabi, the secretary general of the FDC, a critic of nuclear power generation says the government should explore safer sources of energy such as solar and wind energy, and only consider nuclear as an energy source later. Mr Mafabi who doubles as Budadiri West MP observes that while nuclear energy is the most reliable and climate-resilient source of energy, it is wrought with high risks that Uganda is not well prepared to handle. Opponents of the nuclear energy are also worried about health hazards, safety and radioactive waste management, with questions about the country’s preparedness to deal with radioactive waste and accidental leaks which advanced economies like Japan have grappled with. Mr Frank Muramuzi, the executive director of National Association of Professional Environmentalists (NAPE), also opposed building of nuclear plants and instead pointed the government to harness electricity from other renewable energy sources such as solar. “Nuclear plants are expensive, have long construction periods of about 10 years and expensive to de-commission the plants at the end of their lifespan, especially disposing of hazardous radioactive waste,” he said. The National Environment Management Authority (NEMA), a statutory environmental watchdog, however said there is no cause for alarm and they have worked closely to ensure the investment is safe. “We even carried out an impact assessment and we are sure that the project is economically viable, socially equitable and environmentally sustainable,” said NEMA Spokesperson Naomi Kurekaho. Ms Muloni earlier said Uganda will develop and tap electricity from all possible sources to meet future demands. In an effort to spur economic growth through heavy-ticket infrastructure development, the government is currently building Karuma and Isimba hydro-dams, both of which will add 783 megawatts of electricity to the national grid when completed next year. The history of nuclear energy is punctuated with grisly disasters and accidents. Most recently in March 2011, close to 20,000 lives were lost in Fukushima, Japan, in one of the deadliest nuclear accidents in history, after a major earthquake that hit the area and damaged one of two Fukushima Daiichi nuclear plants. Citing safety concerns, industrialised countries like Belgium, Spain and Switzerland plan to phase out their nuclear power plants. Germany has permanently shut down eight of its 17 reactors and has announced that it will shut down the rest by 2022. 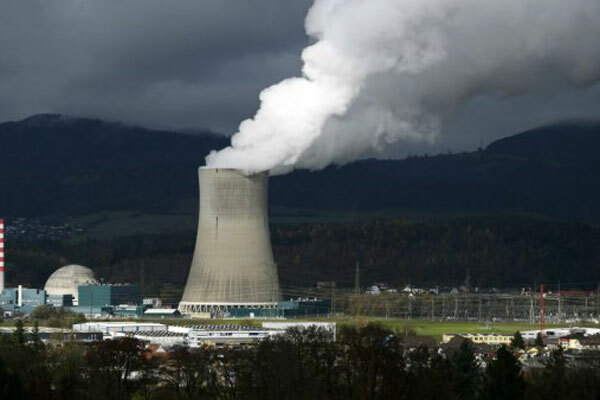 On the other hand, Africa is warming up to the idea of nuclear energy as a cheap and reliable source of electricity, with newcomers such as Uganda, Nigeria, Ghana, Egypt, Tunisia, Kenya and Tanzania, laying out plans to go nuclear in the near future. -Enormous energy is present in the bonds that hold the nucleus of atoms together. This nuclear energy can be released when those bonds are broken. -The bonds can be broken through nuclear fission, and this energy can be used to produce electricity. -In nuclear fission, atoms are split apart, which releases energy. All nuclear power plants use nuclear fission, and most nuclear power plants use uranium atoms. -During nuclear fission, a neutron collides with a uranium atom and splits it, releasing a large amount of energy in the form of heat and radiation. -More neutrons are also released when a uranium atom splits. -These neutrons continue to collide with other uranium atoms, and the process repeats itself over and over again. -This process is called a nuclear chain reaction. This reaction is controlled in nuclear power plant reactors to produce a desired amount of heat. -Nuclear energy can also be released in nuclear fusion, where atoms are combined or fused together to form a larger atom. Fusion is the source of energy in the sun and stars.